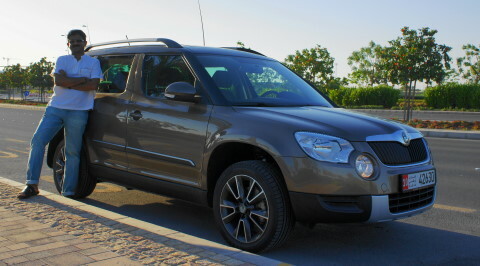 Got a new car - SKODA Yeti 1.8TSI DSG. It is brown with a black top. Here's it to give an idea of the colour. We had no other option but to shoot that with sun almost behind the car. 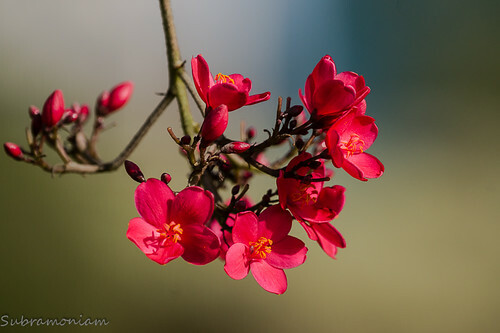 What is the best time to shoot this to get the colour right? Nowadays it is like winter afternoon at 7:30am here!!! Hi Subbu, you have been quiet for a while, good to see you back and congratulations on the new car. I had no time to wield the camera for some time. I have moved to a office based project so going out of the town is limited to weekends. And with the place now an oven it is next to impossible to go out in daytime other than in an a/c car and to some mall. We tried shooting with overhead sun but colour seemed darker. Then evening sun made it look a little yellowish. In a canvas covered car parking it was looking orangish. Perhaps must try in shadow or morning sun by 6am or so. I love the Yeti's!! I drove one a while back and fell in love, for a smallish car it has so many uses and ways to configure the inside layout.